Annual Enrollment is Oct. 27 – Nov. 18. See what’s new, consider all of your options and enroll. After holding our costs steady for the last four years, in 2019 there will be modest increases (5% or less, and not more than $276 per year, depending on your plan) in your medical and vision premiums. The cost of your other benefits won’t increase in 2019. We are offering two new benefits in 2019 if you’re enrolled in a UnitedHealthcare medical plan—Real Appeal (weight loss program), and infertility services. Pet Insurance will also be offered for the first time. In 2019, Rockwell Automation will offer coverage for infertility services through UnitedHealthcare and related prescription drugs through CVS/caremark. You get a lifetime maximum of $25,000, and a prescription drug lifetime maximum of $10,000 to help you if you need extra support starting a family. 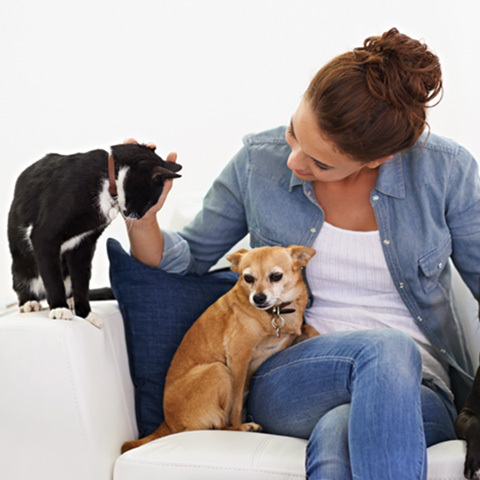 We realize your pets are important to you, and we want to help them stay happy and healthy. That’s why we’ll be offering pet insurance in 2019! You’ll be able to get coverage for visits, vaccines, illnesses and injuries. Check your 2019 Annual Enrollment guide for more details. You have until the end of the year to complete the program. Make sure you get all the savings you can! During Annual Enrollment, not only will you get to choose your core health benefits like medical, dental and vision, but you’ll also get to choose from an array of other benefits to support your overall wellbeing. Starting Oct. 27, go to EmployeeConnect to make your 2019 benefit elections. Remember that most of your benefit elections cannot be changed throughout the year unless you experience a qualifying status change, such as marriage, divorce, or the birth or adoption of a child. Details on all of your benefit options can be found in your 2019 Annual Enrollment guide.